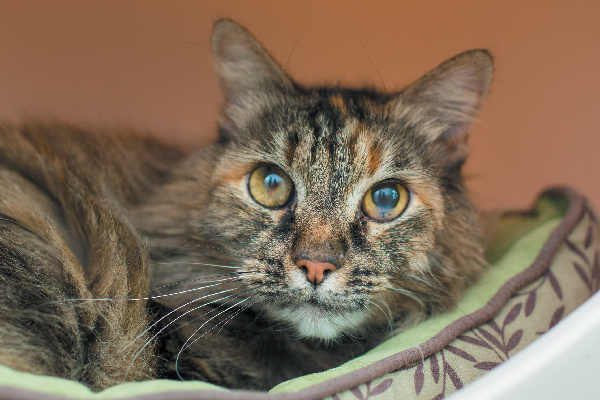 Do you have a senile cat with serious memory-loss issues — or is your senior cat’s confusion just a natural sign of aging? Learn the difference here. Our 11-year-old cat, Katie, started showing signs of her advanced age last year. About once every other week, she would stand in the hallway in the middle of the night and meow loudly and plaintively. The sound was distinctive, unlike any of her typical vocalizations, and she would continue to meow until one of us got up to physically comfort her. Did we have a senile cat? 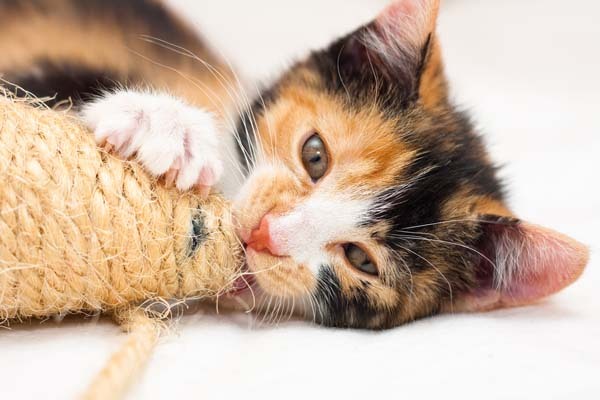 Do You Have a Senile Cat … Or Is Something Else At Play? Is your cat senile? Photography ©anurakpong | Getty Images. At Katie’s next veterinary checkup after the behavior started, I asked the vet about the nighttime meowing, concerned that we had a senile cat. He said that my cat’s behavior was likely related to confusion; she became “lost” in the house because it looked unfamiliar to her, and she called out loudly for help from her family. My vet further explained that senior cats can show this symptom of memory loss, as well as signs such as occasionally missing the litter box, disorientation and changes in typical behavior. After thoroughly examining Katie and asking me questions about her day-to-day activities, the doctor encouraged me to continue to watch Katie for the other symptoms of memory loss. He also concluded that we likely didn’t have a senile cat on our hands. Katie didn’t seem to show the signs of a more serious age-related condition in cats called Cognitive Dysfunction Syndrome, also known as CDS, or cat dementia. Luckily, Katie seemed to readjust to the house, and after further discussion with my vet, we determined that her behavior may have been related to changes in our household, as our older children had moved out to attend college. Still, I keep an eye on Katie and my 10-year-old cat, Jack, for the signs of memory loss and CDS my vet described. Senior cats can start to become forgetful as they age. So, occasional moments of confusion might not mean you have a senile cat and are not necessarily a cause for alarm. What Are the Signs That You Have a Senile Cat or a Cat Experiencing Memory Issues? Still, some signs of memory loss can indicate a bigger problem, such as a senile cat or a cat with CDS, as my vet indicated. 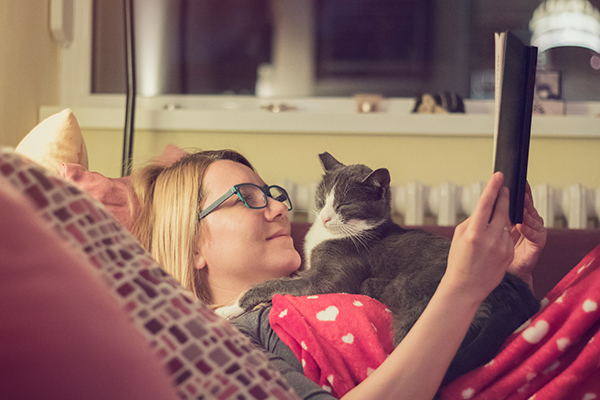 Pam Johnson-Bennett, a certified cat behaviorist and author of Think Like a Cat, says that other signs of CDS can include pacing, restlessness, irritability, incontinence, constipation, uncharacteristic avoidance of physical interaction, and changes in relationships with family members and other pets. 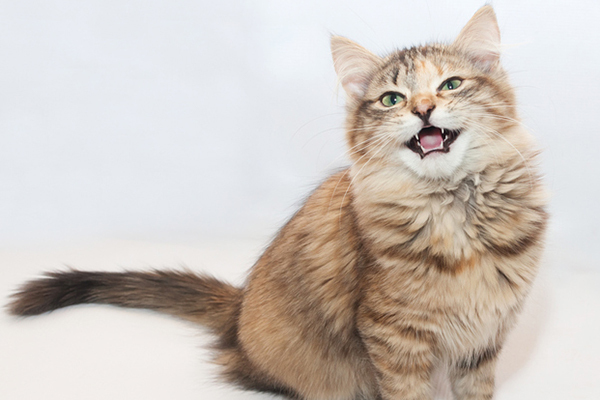 Any change in your cat’s normal behavior should be followed up with a visit to your veterinarian. 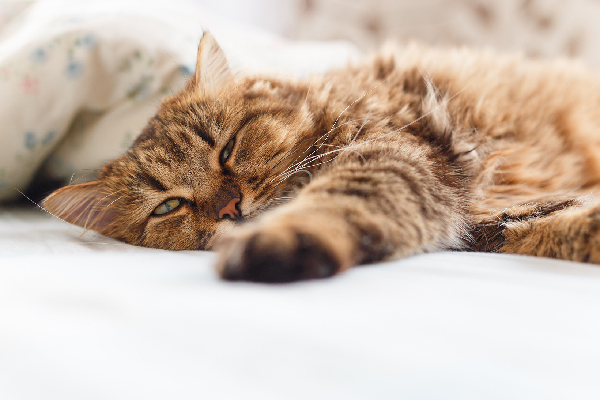 If your senior cat shows any of the symptoms noted above — or if something seems different about your pet — take her to the vet as soon as possible. When Katie experienced her episodes of confusion late at night, my vet recommended some steps we could take to help her cope with memory loss, including keeping all of the furniture in the same spots and leaving clear paths throughout the home. Pam shares similar tips. “Keep your environment familiar, with as little stress as possible,” she says. 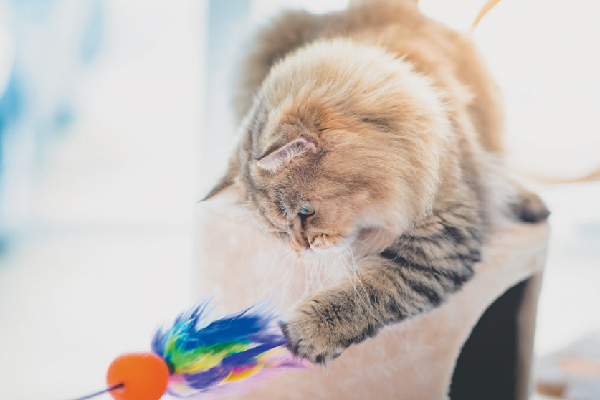 “If [your cat] yowls at night or appears disoriented, you might need to confine him to a smaller area of the house.” Pam further suggests leaving night lights on throughout the house. “With some cats who become disoriented at night when the house becomes quiet and dark, it helps to have them sleep in the bedroom with you,” she adds. We used a similar approach with Katie to help her overcome her confusion at night. We put a night light in the long hallway and left our bedroom door open at night so she could come in and sleep with us if she chose to (she seldom did, preferring not to share the bed with two other cats and a dog). As Jack, our 10-year-old cat, begins to show signs of his age, we have adopted some of Pam’s other tips, particularly those related to the litter box. “You may need to increase the number of litter boxes to help make things as convenient as possible for your cat,” she says. Can a Senile Cat or a Cat With Memory Issues Still Enjoy Her Life? Katie and Jack both seem to benefit from chasing wand toys and watching birds through our sliding glass door, and we think it helps keep them young. And as I found with Katie, your cat may be simply showing normal signs of growing older. Still, to help your cat live her senior years in comfort, take her to the vet as soon as possible if you see signs that she is struggling with her memory. Carole, our wonderful veterinarian prescribed MiraLAX for our very thin, 17 years “young” Tabby cat. Also diagnosed with hyperthyroidism – is on another medication for it. Kitty has only few teeth left! We bought the MiraLAX, my husband read this product contains Polyethylene Glycol. He said that is used in antifreeze! He refuses to give our Tabby Miralax for that reason (and after reading about polyethylene Glycol!) Pumpkin is good and we too mix it with her diet. She is very active and shares our home with two other cats, and a Border Collie.